Anyway, onto the Kamenashi family! 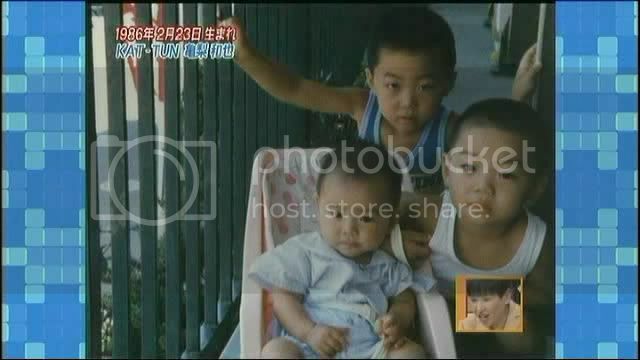 and in some Utawara show they showed a picture with the three of them (Yuya was not there cause he hasnt been born yet =PPP) and the three babys look a LOT alike!! SO CUTE! You're right they really do look alike~ I think I'm gonna go hunt down this episode XD Thanks so much for the caps! I've seen these pics before too, I thought it was just Kame. I thought that the 1st. pic was Kame. Btw i just saw these pics in ktlove too. And the 2nd. pic is Yuichiro i think(i'm not so sure). They all look alike except Yuya(just my opinion).